Dubai has been selected to be a regional hub for city data, at the United Nations headquarters in New York City. As a result, Dubai is now in a direct position to inform and drive progress towards the UN 2030 Agenda for Sustainable Development. The General Secretariat of The Dubai Executive Council and the World Council on City Data (WCCD) are in discussions to sign a Memorandum of Understanding that would see Dubai become the Local Data Hub of the Middle East, North Africa and South Asia (MENASA) region. Discussions are underway between the WCCD and a number of other cities across different continents, including Johannesburg (South Africa), Buenos Aires (Argentina), Los Angeles (USA), Makati (Philippines), Rotterdam (Netherlands), and Minna (Nigeria), with the United Nations acknowledging the complimentary role that cities and local communities have to play. The General Secretariat of The Executive Council will now start to define its responsibilities as the Local Data Hub of the MENASA region, and is expected to play a key role in the promotion of the initiative, as it aims to get other cities in the region involved. It will also provide a platform for engagement and participation from a growing network of cities in the region and directly demonstrate yearly progress made against the United Nations goals for sustainable development on the city and local level. In addition it will enable a portfolio of local and regional data portals, analytics, and reports to engage stakeholders and help accelerate progress. It will also serve as a dedicated platform for city-to-city learning and ‘solutions transfer’ across metropolitan, national and global contexts, with the rapidly-growing network of WCCD certified cities. His Excellency Abdulla Abdul Rahman Al Shaibani, Secretary General of the Executive Council of Dubai, pointed to the importance of the agreement between Dubai and the WCCD, under the umbrella of the United Nations, which confirms its position as it works to create a sustainable environment for future generations in Dubai and around the world. This is in line with the vision of His Highness Sheikh Mohammed bin Rashid Al Maktoum, Vice President, Prime Minister of the United Arab Emirates, and ruler of Dubai, on a number of key long-term strategies that aim to improve a number of key Dubai Plan 2021 pillars and help achieve the 2030 sustainable development agenda. His Excellency Abdulla Abdul Rahman Al Shaibani said: “Data is essential for the improvement of core city functions, and future visions, which is why global benchmarks are also necessary. As cities look to become smarter and more sustainable moving forward, and in line with Dubai’s sustainability ambitions, the success of Dubai Plan 2021 is based on a holistic and studied approach, which uses data to benchmark and inform its future. 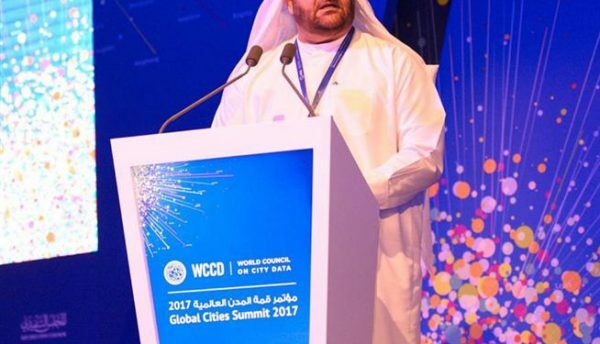 “In March, Dubai hosted the Global Cities Summit in partnership with the WCCD, and with the participation of a number of global and regional leaders and experts, from over 50 cities across five different continents, culminating in the adoption of the Dubai Declaration 2017, which established a framework for city data as the universal language driving forward three critically important agendas for 2030, including a commitment to inclusive cities, smart nations and a sustainable planet. Dubai will now ensure that this is followed through as a Local Data Hub. Dubai has adopted the concept of sustainability as a central pillar in its plans, as it seeks to ensure a prosperous future for its next generations. It also makes up one of the key components of the Dubai Plan 2021, which aims to engrain the core concept of sustainability as crucial to continued economic growth, and is highly reliant on complex data that is analysed through ‘Qarar’. This ensures that data is immediately provided to decision makers in order to make recommendations accurately at all stages and levels. This includes key performance indicators such as the Pulse report. Dubai also earned the ISO 37120 Platinum Designation international standard in 2017, which is considered the first of its kind in the world that is tailored for cities, and includes 100 indicators spread over various fields and sectors, such as economic, social and urban development, along with the environment, water, health, government administration and many others. The ‘Local 2030 Data Hubs’ project will utilise high calibre city data to inform and drive local progress towards the 2030 Agenda for Sustainable Development. 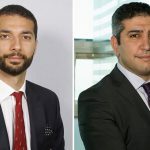 The Executive Office of the United Nations Secretary-General (EOSG) and the World Council on City Data (WCCD) are leading this innovative initiative.